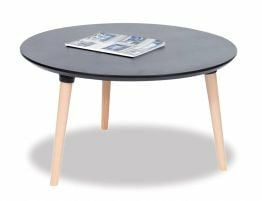 This modern Massa Table is small round table of 100cm in diameter with natural ash legs and a black melamine top. 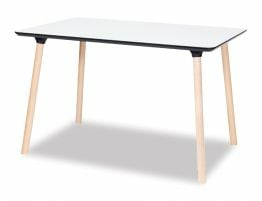 The modern table is the perfect size for a small apartment meals area or extra table in the kitchen separate form the dining area. 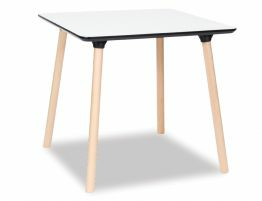 The table is made of a common well established use of materials in furniture design today. 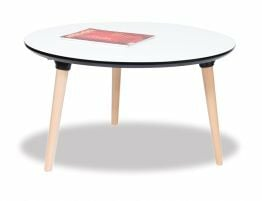 The natural solid Beechwood legs are sturdy and light in colour, and shaped with a soft round effect making it a most desired look. 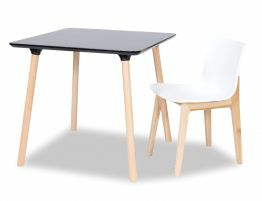 The black melamine top is made of one of the most modern durable materials today. 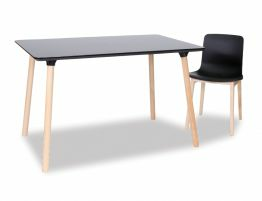 The contrast between the two materials is most effective making the Massa Table a stand out in modern design today. 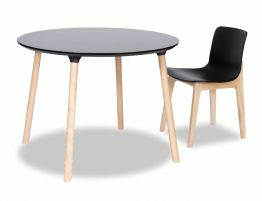 The Massa Table comes in many a different shapes and sizes. Visit Relaxhouse to find the one perfect for you today.